To handle customer ticket surges and keep the talent level high, Directly’s customers need a pipeline of new experts. Typically, customers invite batches of new experts by identifying a segment of top users and emailing an invitation to all of them at once. 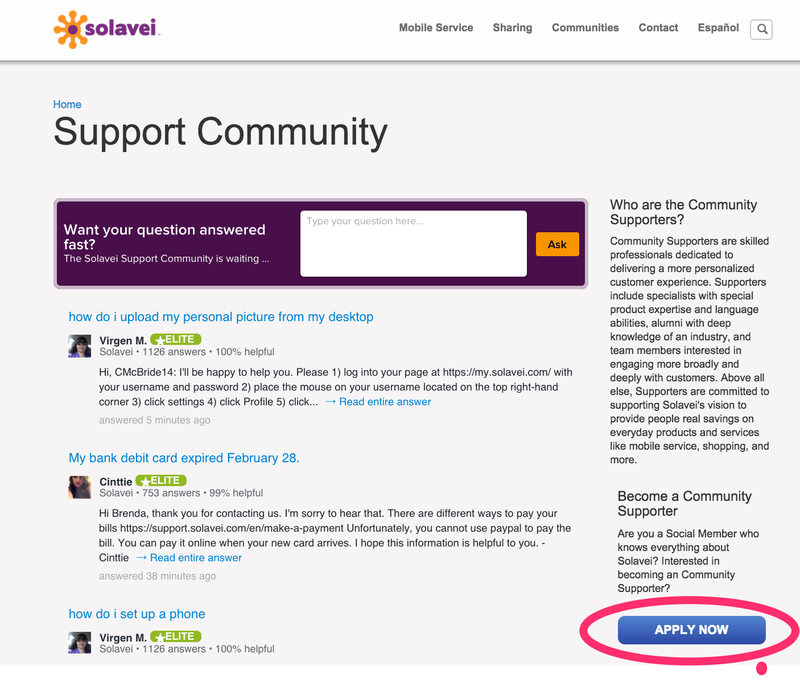 We’ve also seen some customers add a “drip recruiting” approach as an additional strategy for sourcing their expert communities, and it works beautifully. First you publish an invitation on company pages; some companies put the invitation on their user dashboards, others on the help pages. If you have active social sites like Facebook, Twitter or LinkedIn where your fans congregate, consider them as well. Fans and followers who also are knowledgeable users of your products are invited to apply as experts who handle general customer inquiries and earn rewards for resolving them. Publishing the invitation allows you to cast a wider net and find “net promoters” of your company who have both the loyalty and the motivation to share their expertise with your customer base. 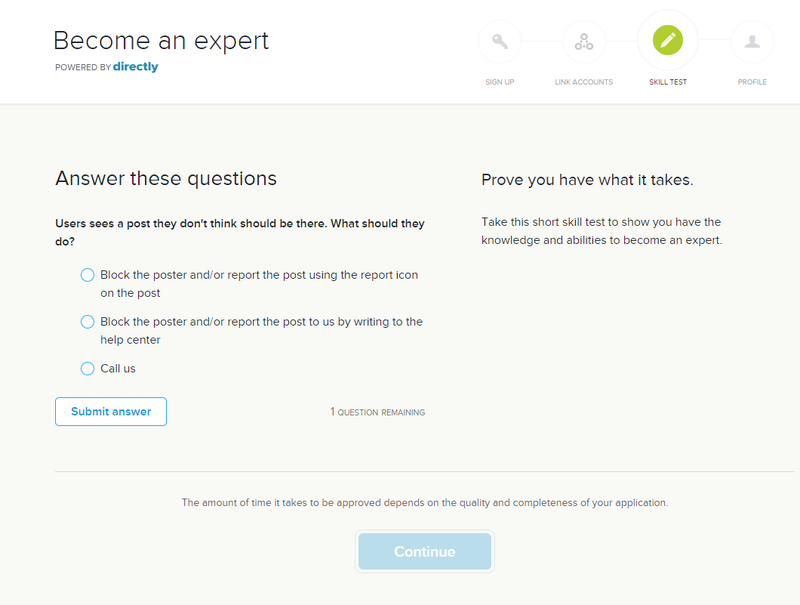 After users apply, the next step is a skills test to validate knowledge of your products and processes. Directly includes a multiple-choice test option that also scores the tests and only accepts experts who pass. Users who pass the test automatically move to your expert waitlist, so you constantly build a pipeline of motivated talent. The good news is it's a single investment of time; once you set up the campaign, you don’t have to pull new lists and send new batches of emails to keep your expert community populated. Additionally, potential experts see the published invitation every time they log into your user dashboard, so you reinforce the message and remind people to give it a try. Next, Directly monitors question response times and injects new experts from the waitlist automatically to preserve your performance levels. Once new experts are approved from the waitlist, Directly’s routing engine matches them with incoming questions and measures their performance compared to your other experts. Experts who prove to be top performers receive higher ranking and more questions. Having a pipeline of qualified experts that automatically deploy to meet demand lets you react quickly to spikes, prepare for growth or handle promotions that are succeeding beyond your forecasts without having to hire staff or add seats to your customer support infrastructure. And all of this happens without sacrificing quality for the sake of handling the volume.